Established in the year 2009, in Rajkot (Gujarat, India), we “K.M. International” are known as the reputed manufacturer and exporter of a premium quality range of Bathroom Accessories, Puri Press, Kitchenware Chipser and Slicer etc. These are widely used in household, restaurants, and hotels. We provide these products in several specifications in order to meet the specific demands of our valuable clients. We have installed advanced equipment and machinery in our infrastructural unit, which helps us to manufacture a high-quality range of products within the time frame. With the help of our workforce, we provide these products to our precious clients as per their specific requirement. To maintain the entire processing process easily, all processes are supervised by our experts who have rich industry experience and knowledge. Having good quality of export, has gain important relations in the national and overseas markets for a very little period of one year while we are leading the Indian market for last 10years. Before they are delivered, all our products go through stringent quality checks ensure excellence. Over the years, we are designing quality range of Bathroom Accessories, Cutlery Set that finds a wide application in household, restaurants, hotels and hospitality industry. 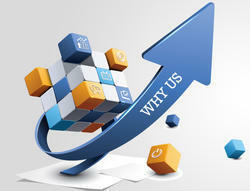 Our vision is to enhance the lifestyle of our customer by offering innovative products and services. Honesty, integrity and fairness is the core value of our organization that helps us to maintain transparency in our business dealing as well as clients trust. We have well-established infrastructural unit that is furnished with sophisticated machinery and equipment. Spreads over a large area, this ultra-modern infrastructural unit helps us to meet all the demands of precious clients in the most successful manner. It is categorized into various parts like procurement, manufacturing, quality testing, warehousing & packaging, R&D and sales & marketing. Also, we regularly check and upgrade the installed machinery to attain high production with optimum quality. With the assistance of our dedicated and hard-working workforce, we provide these products to our precious clients as per their specific demands. In our workforce, we have procurement agents, quality experts, engineers, technicians, packaging & administrative personnel, R & D personnel and sales & marketing personnel. We have team of skilled professionals who works round the clock to attain maximum clients’ satisfaction. Our professionals make sure that the offered products are manufactured in conformity to set quality standards.